Prerna says to the inspector that, isn’t it enough as a proof. Komolika takes Anurag on a side to talk with him. Veena goes to take Shivani to show her to Aryan’s family. Suman brings Shivani and everybody is looking at her. Suman asks Aryan and Shivani to talk in a separate room. Komolika takes Anurag in a corner and says that she has tolerated enough now. 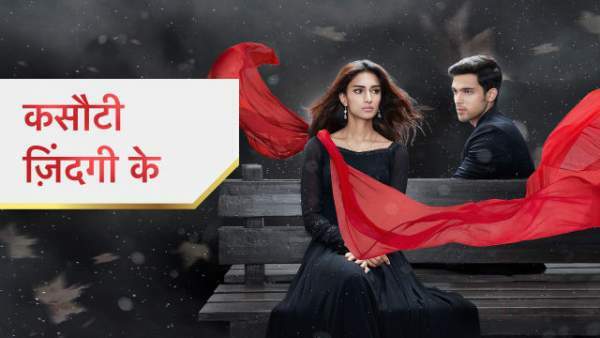 Komolika says that remember one thing that between Prerna and her whoever tries to take her side, then that person should be ready to bear the consequences. Anurag tries to talk with her. Komolika says that he can do whatever he wants to, but she will not forgive Prerna. Anurag says that it’s enough now. Anurag says to Komolika that he did so much for her and behave so sweetly. Amurag says that she knows nothing but to suspect. Anurag questions that what has she done for him till date? Anurag says that it shows that she only pretends to love him and her love for him is fake. Anurag questions that had she ever understood her? Anurag says that in the mall also, he was trying to save their engagement ring. Anurag says that she doesn’t trust him, then she can leave him, but he will not spare Prerna. Anurag goes to Prerna and they both are looking at each other. Komolika also comes there. Anurag recalls that Komolika is very dangerous for Prerna. Anurag says to the inspector that everyone has played with dolls back as kids where the guy marries the female doll and the girl marries the male doll. Anurag says that they take vows in the game to stay together and that is all that happened which Prerna thinks of it as real that they got married in a temple. Anurag says to the inspector that the truth is that Prerna toys with his family and she is emotionally blackmailing him to accept this false marriage. Mohini says that this girl is blackmailing them for money and power. Prerna feels shattered that Anurag broke her now. The inspector arrests Prerna and takes her with them. Prerna says to Anurag that she despises him and won’t spare him. Shivani is talking with Aryan about everything. Shivani says that she had an affair with a guy and she was quite serious about him. Shivani says that after this whatever decision he wants to make, she will respect it. Shivani says that she has moved on from all that now. Aryan says that love happens and it is past. Aryan asks Shivani to marry him. Shivani smiles after hearing it. Ronit comes with a gun in Shivani’s room. Shivani gets shocked to see him. Ronit says that he won’t let her marry someone else. Shivani hits Ronit and leaves from there. Komolika apologizes from Anurag for doubting his intentions. Anurag denies talking with her. Anupam also goes to Anurag. Ronit comes there in front of everyone. Ronit puts the gun on Aryan’s forehead and asks him to stay away from Shivani. Ronit asks Aryan and his family to leave from there. Veena takes the gun down and slaps Ronit. Ronit says that Shivani will get married to him only and leaves from there. Anurag is upset to recall everything happened with Prerna. Precap: Anurag meets Prerna and hugs her in jail! Komolika comes there and looks at both of them!